. إن الخدمات التي يقدمها Central Perk Backpackers Sydney تضمن للنزلاء إقامة مريحة. يمكن لضيوف الفندق الاستمتاع بالميزات التالية على أرض الفندق: واي فاي مجاني في جميع الغرف, خدمة غسيل ذاتية, تخزين الأمتعة, واي فاي في المناطق العامة, صف السيارات . بالإضافة لهذا,تتضمن كل غرف الضيوف مجموعة واسعة من وسائل الراحة . بعض الغرف توفر حتى تلفزيون بشاشة مسطحة, اتصال لاسلكي بشبكة الإنترنت (مجاني), غرف لغير المدخنين, مكتب, شرفة/ تراس لإرضاء أكثر الضيوف تطلباً. كما أن مجموعة الخدمات الواسعة الموجودة في الفندق لضمان راحتك تترك لك الكثير من الخيارات لقضاء وقتك أثناء فترة إقامتك. إن Central Perk Backpackers Sydney هو خيارك لخدمة الفنادق الراقية في سيدني. يُرجى العلم بأنه ينبغي على كل النزلاء إحضار بطاقة هوية سارية تحمل صورة عند تسجيل الوصول. يُسمَح بجوازات السفر ورخص القيادة فقط. يجب تقديم تفاصيل البطاقة الائتمانية أو دفع تأمين نقدي بقيمة AUD 50 عند تسجيل الوصول تحسبًا للأضرار العرضية، على أن يُسترَد المبلغ بالكامل عند المغادرة إذا ترك النزيل العقار نظيفًا ومرتبًا وبدون تلفيات. يوجد مكان خارجي لانتظار السيارات نظير رسم إضافي ويخضع لمدى التوافر. على النزلاء الذين ينوون الحضور بسياراتهم التواصل مع العقار مسبقًا. I’ve find the bed bug on my bed I less got 25 bites on my body now. This hostel is an old broken down hostel. If not for its location at centre of town, I advise backpackers to avoid it. The bed is really bad as the springs underneath is poking you. Are the window opens out to the street below, we had to endure all the traffic noise. The carpet in our dorm is dirty and worn-out. Door lock is about to give way. Couches in recreation room are all torn down. Kitchen is full of cockroaches. Reception staff not friendly. I stayed here for 2 nights. The only bad thing is noise. The price is very cheap for such accommodation quality. The staff I met are friendly and nice. The security is fine, you will get your own locker to store your personal belongings. The location is great - they are located in the central of Sydney City. Rooms are cozy and spotless, the free Wi-Fi was fast and efficient (nothing turns me on like a good internet connection speed). They also provide free breakfast. 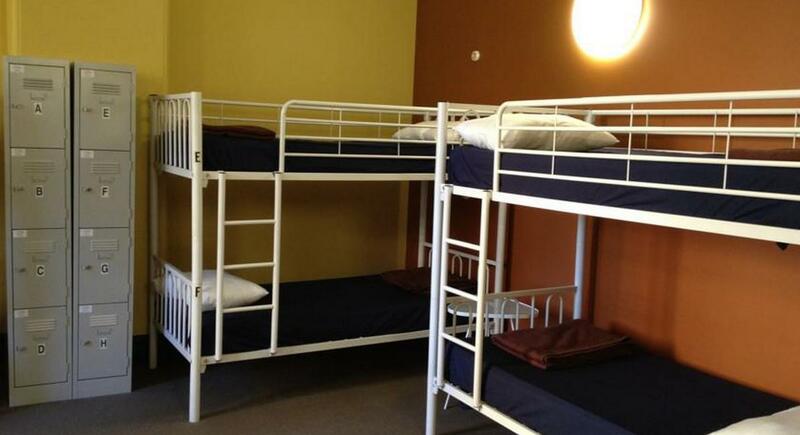 It maybe not the best hostel in Sydney, but worth the price. That was my first time staying at a hostel. Great location with essential facilities. Since it 's in the heart of Sydney city, you will not stay very quite. The security is not bad, you will got own key for your small storage container. It is a good place for young people. The only pity is alcohol not allowed in the room. Excellent location! I stayed three nights there weeks ago, it is a nice place for young people especially solo traveler like me. I meet travelers from different countries in the room, we talking until later and go on trip together in the daytime. It give me a great experience. Accommodation quality is fine and the price is very cheap. The staff there are not such warm but they answer my question with smile so that's OK. And it's easy to access to all Sydney side attractions which is make me love it. Quite a nice hostel that basically has everything I need. Well, of course I didn't expect too much as it only charged me $25. I think it is suitable for solo or a family(take one four beds room), it close to everywhere in the Sydney city, the staff are friendly and the room is clean. It worth the money. The kitchen and lobby are closed from 11pm to 8am everyday, free breakfast are not enough for all guest, and for early check-out guest, they only can refund your key deposits to your credit card, unless you return the key at last night before reception closed. First I can't belive some idiots leaving more than 7 points .. It give an idea how dirty dirty backpackers are ... The pigs are cleaner .. This hostel need a massive Reno and cleaning with bottles of bleach poor all over to kill Germs and wash all ... I hope I have not got any from staying there ... ... They don't care about how dirty is this place ... I have taken pic of the dirt around toiltes and has been loaded ,, the main blue sheet never is changed and the other blanket used and used by others Propobly never washed .. ... I saw with my own eyes .. Nobody care .. Smell coming from rooms .,, left my gym gloves on my bed ... but the Dum idiot cleaner decider to take them or throw away .. / still waiting for compensation of $25 that's how much they ... cost //kitchen it's terrible and dirty overloaded dirt Everywhere ..: no storage to keep your bags all around the desk ... Bags all over the place ... I will be reporting to health department this place .::. It was pretty good. Room is abit messy becos of some dirty backpackers but location is superb and there are 3 toilets with hot showers on every level. There is a pretty small kitchen and a nice living room. cons: please add more utensils esp glasses and plates. All good, wifi, shower, kitchen, except a little bit noisy at night for the hostel just at the street. Dirty+++++, smelly+++++ Good location, cheap. But for the price you can get a much better one. On line it says check in time is after 10am, you would think you can check in after 10am anytime, that's why I booked with this one. But the receptionist told me it had to be after 2pm, 2pm is after 10am(WTF?) I had to wait hours as I arrived 7am. The room was so smelly and dirty! Bathroom was dirty too! Bed wasn't comfort at all! The blanket was full of hair I didn't really use it. My second day when I got back, my bed had someone else's stuff, and my stuff was some where else! I went to the reception, but the receptionist wasn't really helpful as that was his first day! He said the bed isn't by the numbers, we can pick whichever one. But I didn't check out, I don't understand why my bed was occupied by someone else. Luckily earlier in the morning there was a girl checked out, so I could move to her bed. I understand it is a cheap backpacker, but it's really not even worth for that money! 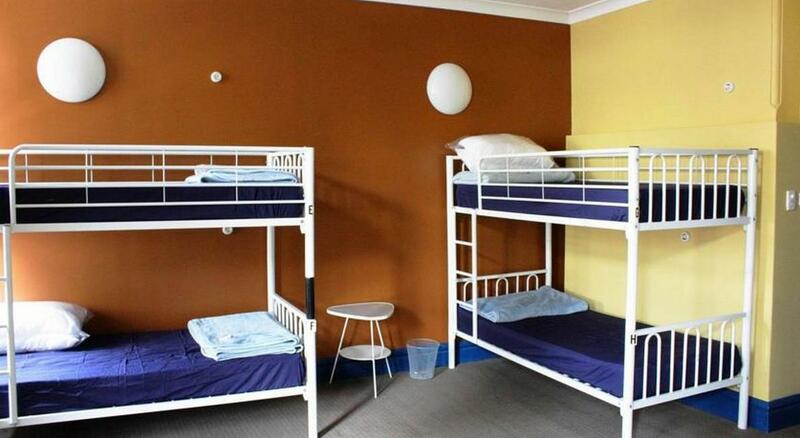 Safe to say I would not return to this hostel. The place is very basic and down run. The room was large with 10beds but due to many long stays there was stuff everywhere that had bean there a while, the lockers were also smashed in and broken so only 2 working out of 15 which I assume were occupied by the long stays. the shower was half decent but with missing tiles on the floor wad hazardous and often very dirty. The worst bit for me was the kitchen and living area... there were cockroaches everywhere... totally disgusting! !